WCO is an amateur orchestra in Winchester that performs a wide variety of classical works. We perform two classical concerts each year and one concert specifically themed for children. 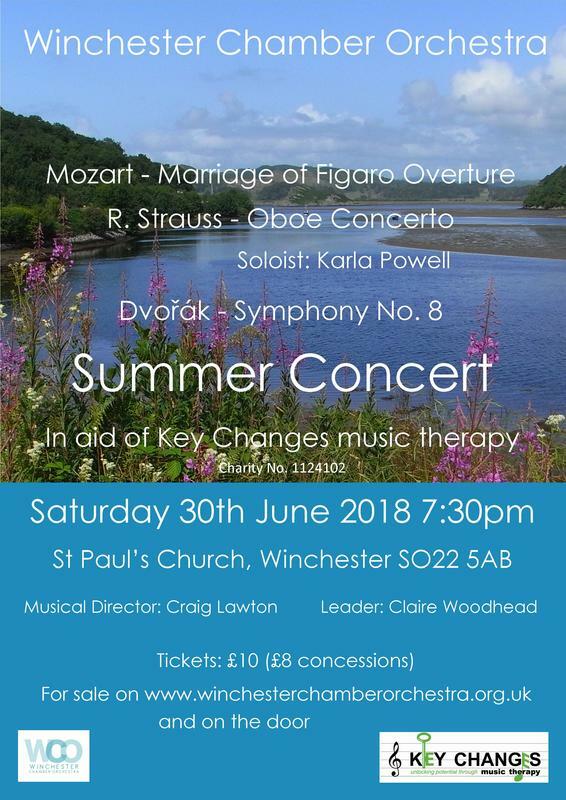 Our next concert on Saturday June 30th 2018 will be a special occasion, celebrating 30 years since the founding of Winchester Chamber Orchestra, and supporting Key Changes music therapy, a local charity based in Winchester. 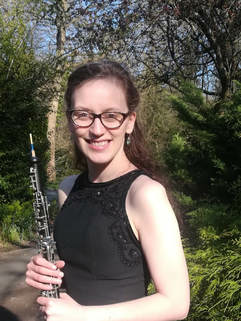 We are delighted to welcome guest soloist Karla Powell to play Richard Strauss' Oboe Concerto, and are hoping many familiar faces will come back to celebrate - or even play - with us! Join Winchester Chamber Orchestra and Friends for their ever-popular annual children’s concert. They will perform an orchestral adaptation of The Three Bears Phantasy, by Eric Coates, narrated by local writer and broadcaster, James McConnachie. Continuing on the theme of ‘bears’ the orchestra will also perform The Teddy Bears Picnic and segue seamlessly into Haydn’s Toy Symphony. Don’t forget to bring a bear (or favourite toy) along to listen too! Stay afterwards for our popular ‘instrument experience’ where the children can try out perfectly child-sized instruments courtesy of Hampshire Music Service. Don’t forget to book your tickets in advance – we ALWAYS sell out!